The Marching Band Gone Astray — I learned the basics of music when I was 10 by playing alto in the Rockland Marching Band. 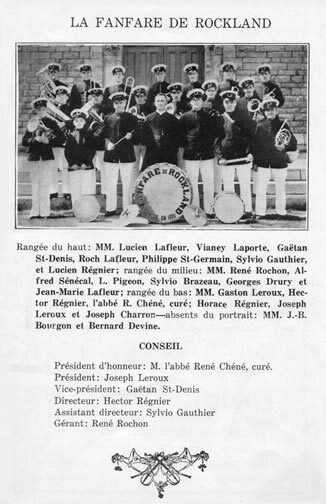 Established in 1905, the marching band, now a thing of the past, was a source of pride for the municipality and all the musicians who played in it. The guitar is tuned in D (DADF # AD). The Sun Rises on the Roofs of Taro — A piece in three parts for two guitars played by one person. The east end of Rockland is known as “Taro”, from the expression “Tar Road”, a pretty obvious indicator of its working class roots. One of my earliest memories : the red sun rising over the roofs of the houses on the other side of main street and the chimney smoke rising straight up in the winter sky. Song For Watching Cars Go By — In some small villages, there are two types of people – those who cruise the main drag in their cars and those who sit on their porches and watch those who cruise the main drag in their cars. This is for Doc Watson, whose recordings taught me the respect of tradition. 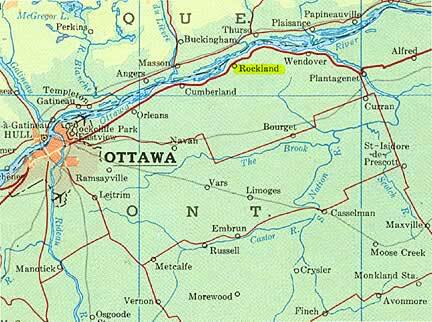 Distances — Like most Rockland residents,I had to travel between Rockland and Ottawa to earn a living. In time, the road disappears in a mind fog. The guitar is tuned in A (EAC # EAE). Aristocrat in rags — Like many guitarists, I was inspired by the music of Scott Joplin, which people called « ragged time », « rag time », or just « rag » because of its syncopated tempo. Countryman — A stomper for the Reverend Gary Davis, a guitar sorcerer who recorded one of the best pieces of the 20th century, the incredible “Cincinnati Flow Rag.” At the turn of the century, many communities lived in cultural isolation, which allowed musicians like Gary Davis and Joseph Spence of the Bahamas to create unique guitar styles. This cultural isolation is familiar to Franco-Ontarians, and especially our grand-parents’ generation, the last true countrymen. The guitar is tuned in C (CGCGCE). The marionnettes — The guitar’s music box sound comes from a «Nashville» tuning. The two first strings (E-B) of the guitar are the same and are tuned as usual, but the four other strings (E-A-D-G) are smaller gauge strings tuned one octave higher than usual. So the third string (I use the fifth string for a banjo) is one and a half tones higher than the first string. I always wanted a real music box to play this melody but I never found a craftsman who made them. The Village Simpleton— Another stomper. Infinitely more interesting than cities, villages are full of unique individuals and always seem to have at least one resident simpleton. Rockland had two or three. In the cities, they’re at every street corner. Nostalgia for a Player Piano — A “rag” of sorts. At the turn of the century, the music of Scott Joplin, which preceded the first recordings, was only available in sheets or in rolls for mechanical “player” pianos. 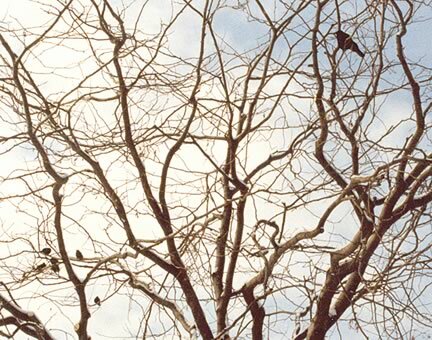 Crows’ Concert — In pop music, there are songbirds and there are crows. It’s been that way since the ’50s. Crows have never been popular, which explains why so many crowsw are now songbirds. 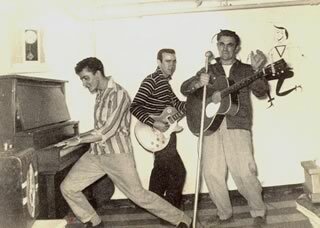 This piece is for the crows: Jerry Lee Lewis, Captain Beefheart, Graham Parker and Richard Thompson. The guitar is tuned in C (CGCGCE). 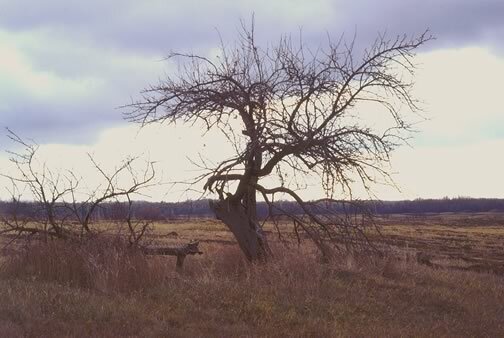 Blues For Times Gone By — A sister-piece for “The Last Ones To Leave” on my album “Rumours in the Barnyard.” The time in question is that which I lost in bars and taverns, when I was young and angry. 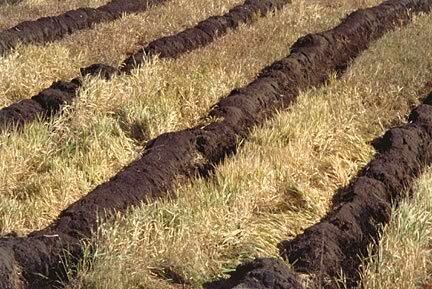 The Sweat of our Brows — A blues for my father, Jean-René Séguin and for all labourers. 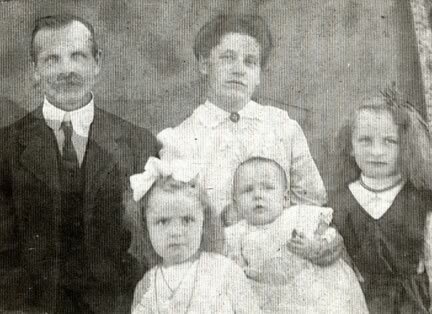 Like many Franco-Ontarians my father became a labourers out of necessity. With little education and a family to support (we were nine with my grandfatherVilleneuve), he worked hard all his life and died much too young. The guitar is tuned in D (DADF # AD). 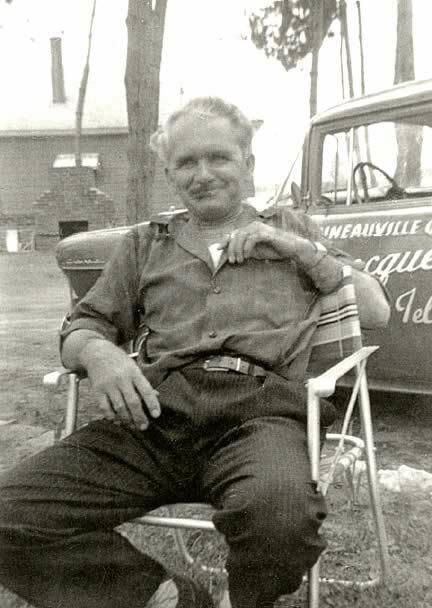 Grandpa Villeneuve — When my maternal grandfather died in 1915, my grandmother moved her family from Cache Bay in northern Ontario, to Rockland. There she met a widower named Alphonse Villeneuve dit Amyot, whom she married. When my grandmother died in1947, grandpa Villeneuve lived with us until his death in 1960, when he was 95. A silent oak, grandpa was a big part of my youth. In the style of Mississippi John Hurt, this piece is also for him, a guitarist who greatly influenced me. The guitar is tuned in C (CGCGCE). Never Known — A more recent composition for my maternal grandparents, Antoine Comtois and Rosa Bédard. The guitar is tuned in D (DADF # AD). Autumn Blues — Dedicated to Bert Jansch, a tremendous guitarist and a big influence. The guitar is tuned in C minor (CGCGCE b). Richard Celebrates His 10th Borthday — A sister-piece for”When I Was Small” on my album “Rumours in the Barnyard. My early years were filled with wonder and happiness until the death of my brother Gabriel in 1959. He was 23 and I was 9, hence the title. The guitar is tuned in D (DADF # AD). 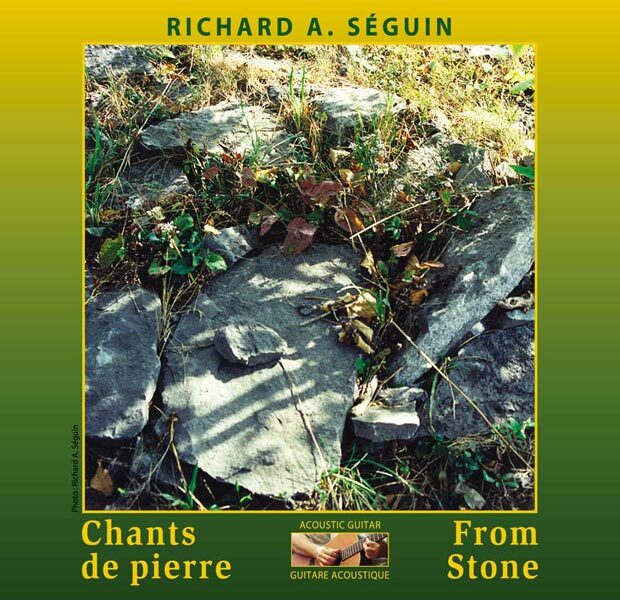 Field of Stones — The title commes, in part, from an old story Grandpa Villeneuve whereby a priest in Rigaud, enraged by a farmer who worked on Sunday, turned his field of potatoes into a field of stones. 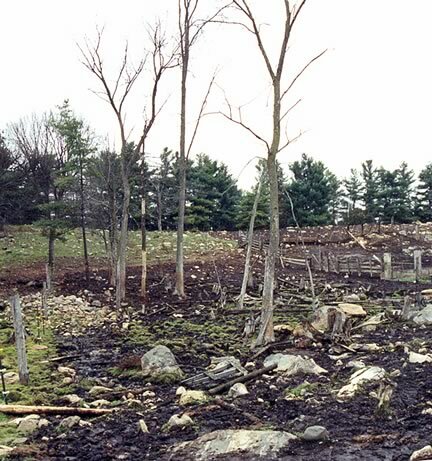 The title also comes from something that happened when I was a surveyor. It was terribly hot that day and I rested in the shade of a tree at noon. With the buzz of cicadas in my ears, the field of stones at my feet slipped into a dream. When I got home that day, the piece just came out. 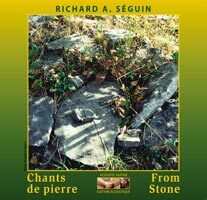 At the end, you will hear my interpretation of the chimes of the Très-Sainte-Trinité de Rockland parish. The guitar is tuned in A (EAC # EAE). 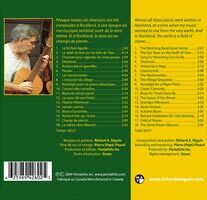 Dedicated to Leo Kottke, the complete guitarist/composer. The Same Dream (Mauve) — A more recent piece composed for “Mauve”, an interractive CD-ROM for teenagers in crisis. “Mauve” is a production of Pentafolio Multimedia, of Clarence Creek, and was recognized by the Association for Media and Technology in Education in Canada and by the Festival international du multimédia et de la vidéo santé.